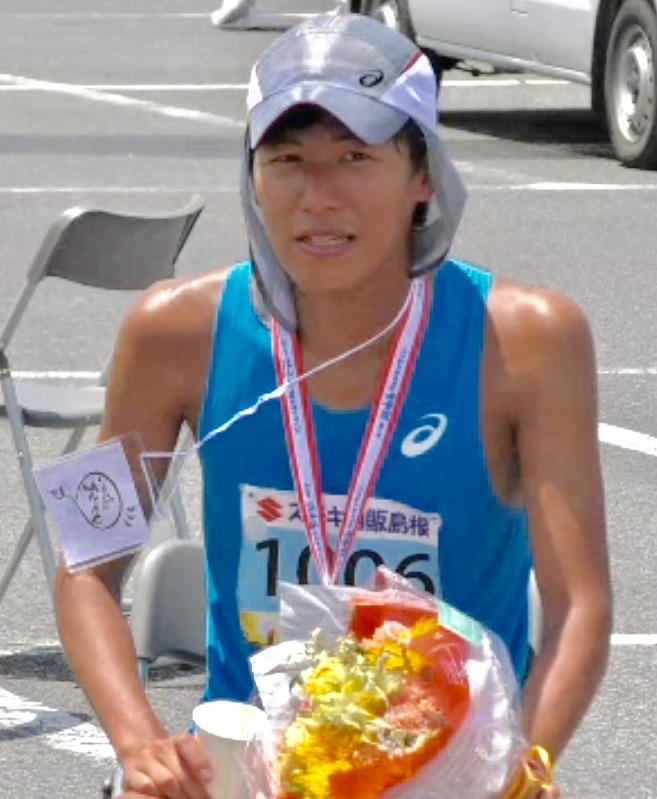 For the second year in a row brothers Yuki Kawauchi (Saitama Pref. 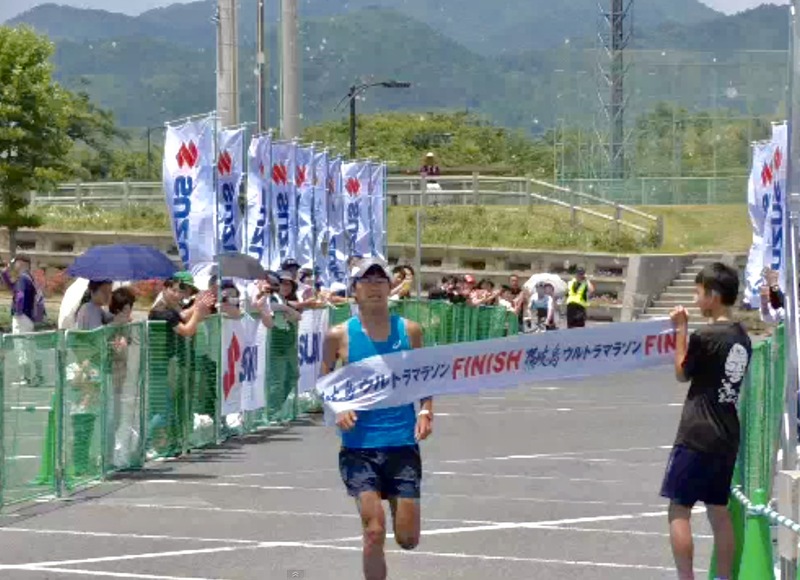 Gov't) and Yoshiki Kawauchi (unattached) returned to their late father's home island of Okinoshima to dominate the Father's Day Okinoshima Ultramarathon 50 km and 100 km. Yoshiki, the younger of the two, ran the 100 km for the third time. In his 2015 debut he suffered mightily on the way in to an 11:21:52 finish. Returning with a year's more experience in 2016, he won in a course record 7:20:31. This time he was out fast in search of his first sub-7 clocking, averaging 4:00/km at 40 km through the hilliest part of the course before starting to slow. At 60 km he was still on track for a sub-7, splitting 4:07:10, but when he hit the series of three >100 m elevation gain climbs just after 60 km sub-7 slipped out of reach. 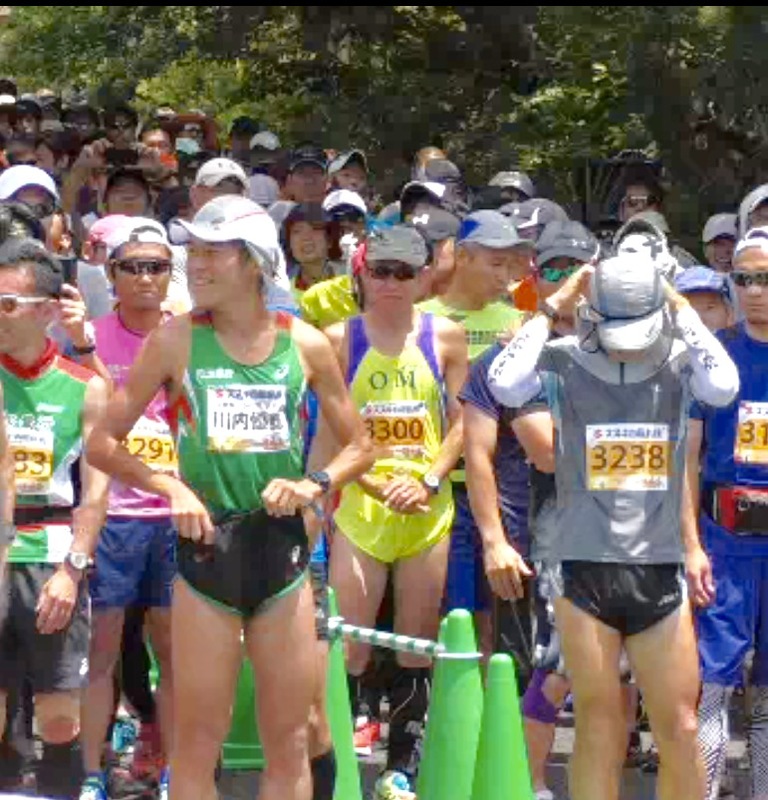 Still well under course pace with a 7:12:27 projection at 80 km Yoshiki struggled on the last 100 m climb just over 5 km from the finish, coming in for the win in 7:29:06. Yoshiki has said that if he breaks 7 hours for the 100 km distance he hopes to take on South Africa's legendary Comrades Marathon, but that day still looks to be in the distance. 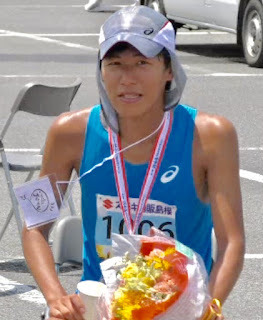 Running Okinoshima's 50 km for the seventh year in a row with six-straight wins behind him including a 2:44:07 national record last year, older brother Yuki started cautiously. Where he split 31:08 for the first 10 km in his record-breaking 2016 run, this year he ran only 32:52. In the middle 20 km, the same section with three successive 100 m+ climbs as in the 100 km, he ran 1:07:17, almost identical to last year's split of 1:07:13. A strong negative split would bring him close to last year's time, but although he had managed to close hard last year this time he only held steady, running 1:07:25 for the final 20 km to finish in 2:47:35. According to ARRS records Kawauchi is now the first man in history to break 2:48 for 50 km three times in his career, and including American Josh Cox's times of 2:43:45 and 2:47:17, which the ARRS rejects for not having been run in a bona fide competition, Kawauchi now holds four of the eight fastest marks ever run for 50 km. 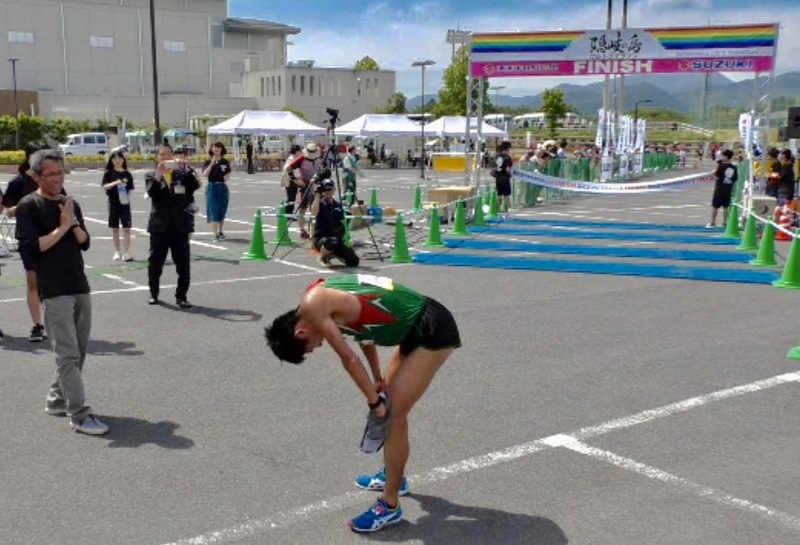 Having run Okinoshima just two weeks after finishing 6th in the Stockholm Marathon in 2:14:04, Kawauchi has only one more race on his schedule prior to August's London World Championships marathon. In two weeks he will return to Australia's Gold Coast Airport Marathon, where last year he was 2nd in 2:09:01, the fastest time of 2016 by a Japanese man, two weeks after his 50 km national record at Okinoshima. At Gold Coast he will seek to run his second sub-2:10 this year as a confidence builder ahead of August's main event.